This intensive foundation year at the Amsterdam Fashion Academy gives you a solid start for any prospective study or career in fashion. You will discover and improve your creative skills as well as having the opportunity to explore different creative areas of the fashion industry. You will learn through discovery and exploration through project work, lectures and study visits. The programme is designed to give you a visual portfolio in the field of fashion and the knowledge you need to be able to progress to follow a fashion related degree. This is a great opportunity to study a wide range of essential skills needed for the design and production of both fashion and textiles in the stimulating fashion environment of the Amsterdam Fashion Academy. You develop your portfolio and gain a real understanding of the professional working practices and expectations of the fashion industry. All topics include an element of theory to underpin the creative process and is delivered through a range of different teaching styles, including lectures, creative workshops and seminars. You will start to focus on developing your own personal creative signature within the fashion environment. What makes this course truly unique is the high level of individual attention available to you through one to one support, throughout the entire academic year. This level of guidance and support makes all the difference in helping you to discover and unleash your individual creative abilities in readiness for a university level degree. We pride ourselves on our commitment to our students. We recognise that giving each student substantial personal support is key to helping them get the most out of the course and themselves, enabling them to be accepted to university level programmes which they can easily follow with their new found skills, knowledge and confidence. You are taught by a range of experienced tutors who are enthusiastic and dedicated to bringing out the best in you. Our teaching staff works with you on sustained project work which develops your skills and they are happy to share their theoretical knowledge with you. Industry workshops, lectures, live projects, field trips and visits are all part of the programme. 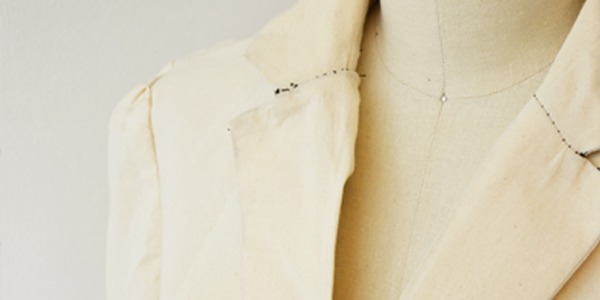 You work on a variety of technical and design projects that involve research, including exhibition and museum visits, design development, garment making, fashion illustration and presentation. This one year programme helps you compile a portfolio for application to a degree programme in Fashion Design. What can you do after the programme? After completing this programme you can progress on to study Fashion Design, Fashion Marketing, Retail, Fashion Communication, Journalism and Textiles Design at degree level. The Fashion Foundation Year is designed for students who do not qualify for the Bachelor Degree programmes or students who want to develop a more solid foundation in key subjects such as drawing, illustration, design methods in fashion and textiles. This fashion foundation course provides an entry route into the Bachelor Degree programmes. Successful completion of one of the following foundation options guarantees progression onto the Bachelor Degree programmes. Successfully completed secondary education in your own country, and be at least 17 years old on entry. If you meet the standard entry requirements for this course, we’ll invite you to attend an interview. A variety of work – we want to see a range of approaches. Work completed in or outside of your studies. Research: examples of various forms of investigation. Photographs of 3D, and large 2D, work. Accompanied by any supporting work, sketch books and developmental pieces. *The Amsterdam Fashion Academy is a non-governmental and non-subsidized institute. The Amsterdam Fashion Academy is a non-governmental and non-subsidized institute. Dutch Nationals are eligible to receive studiefinanciering. UK students are able to apply through UCAS. Please contact us for more information about the requirements. Please drop us a line if you need support.